How to Make a Giant Outdoor JENGA game (AND teach your kids DIY skills)! Today is our son's 12th birthday and I thought it was a good time to do a project I'd been planning for this summer. He is loving doing big projects more and more and I liked the idea of something we could knock out in an afternoon and have fun with. 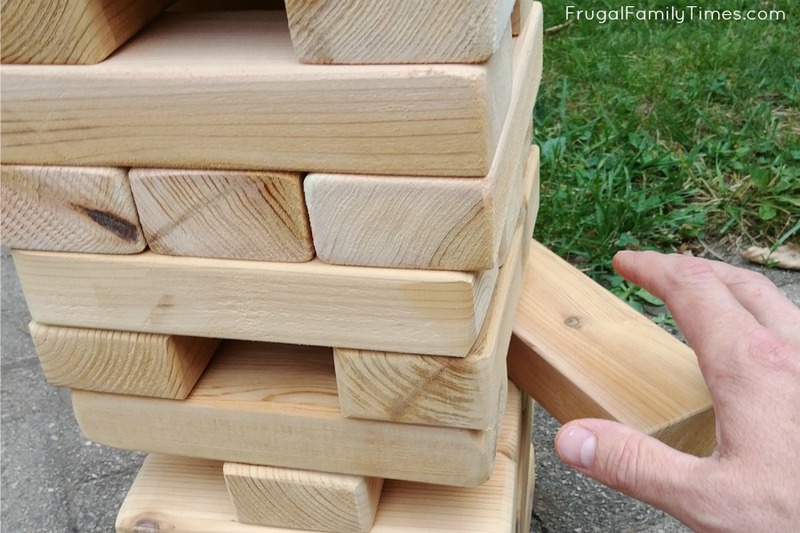 The classic Jenga game is simple and easy to learn. A GIANT version should be even more fun, right? I'd priced out similar ideas online and they run anywhere from 80 bucks up (of course, you can buy giant Jenga pre-made). And none of them seem to be made from an outdoor wood like cedar or pressure treated. You can also find lots of tutorials online for 2"x4" versions - but again, not terribly weather-proof. 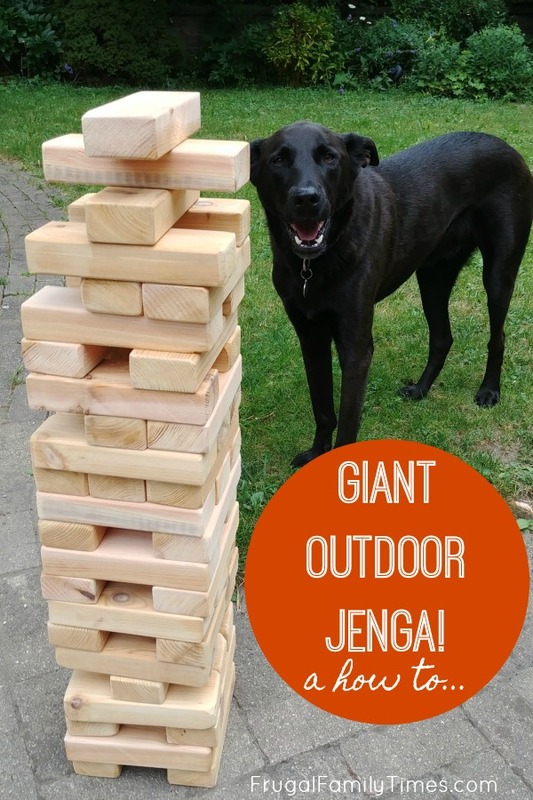 My goal was to figure out how to build a giant outdoor Jenga game that's fun, but also weather-proof and pretty enough to leave out, even if no one was playing. Cedar (while more costly than spruce or pressure treated) is perfect. It also smells amazing. It is also easy to sand and fairly lightweight (if the Giant game un-JENGAS on top of someone, this was a concern). Because of the cost, I cheated in a couple areas so no waste was created. 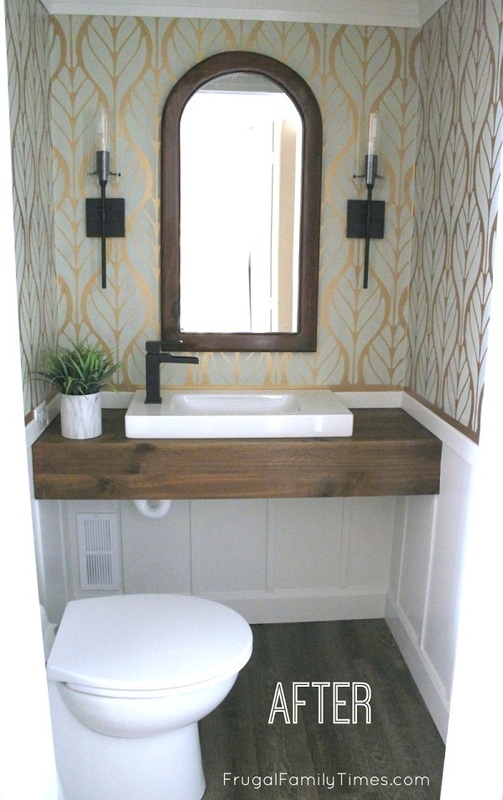 Planning for material usage and how to minimize waste and expense. How to allow for blade kerf (or width) in cuts so all pieces end up the same size. How to finish a project so that rough edges and splinters are all cleaned up. Doesn't that sound like a sweet list of stuff to cover in less than an afternoon of puttering in the workshop? Also, did I mention you, yourself get to smell like sweet, sweet cedar the whole time (and for hours after)? Something to sand edges with after; this , this or even this . This is the toughest step. A 2"x6" is actually only 5.5 inches wide. But don't set your blade at 2.75" to rip it! Blades have a width (called kerf) and if you don't account for it, one side will end up wider than the other. 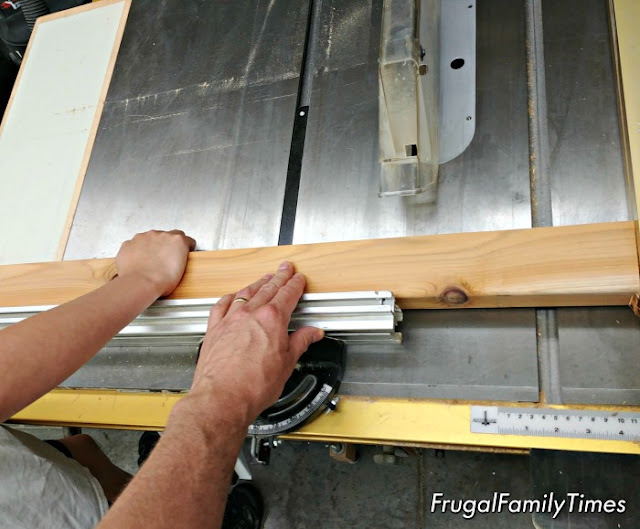 Our table saw blade has a 1/8" kerf, so the saw fence/guide needed to be set at 2- 11/16". It takes two people to rip nicely - the grown-up should be the person closest to the sharp blade. 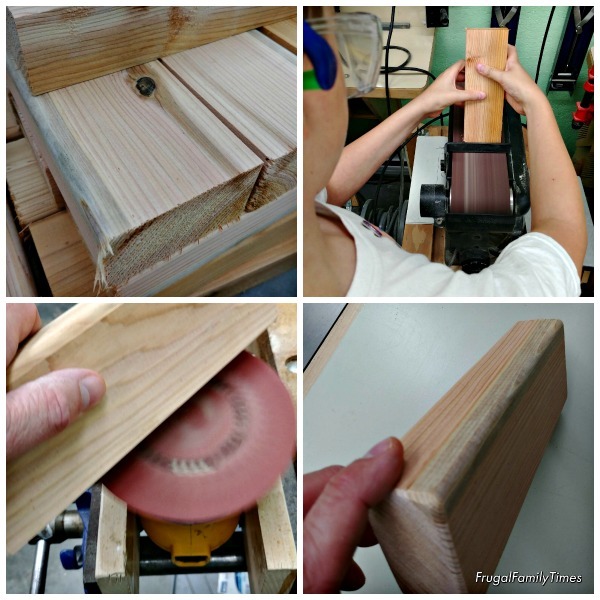 You will give your son/daughter lots of chances to do the block cutting in the next step. Now you get to cut the individual blocks. We wanted to get 12 blocks out of each 8-foot length, so that meant setting our saw fence/guide at 7-7/8" (again to account for kerf). This part is a little easier and once our son got the hang of it, I let him do the cutting while I pulled the cut pieces out and piled them off to one side. Step 3: Sand the rough edges and finish each block smoothly. Notice all the chunks, splinters and sharp edges in the top left-hand image? No one wants to play that JENGA. Take the time to sand/ease all the square corners of the blocks and they will look so much better. With power tools, it took us less than an hour to get everything cleaned up and pretty. With hand sanding, it might take longer... but put a ballgame on the radio, crack a root beer and the time will fly by, I'm sure. Less than 3 hours from start to finish, and that includes shopping time at the big box lumber store and a break during the sanding marathon. Also, cedar smell everywhere! 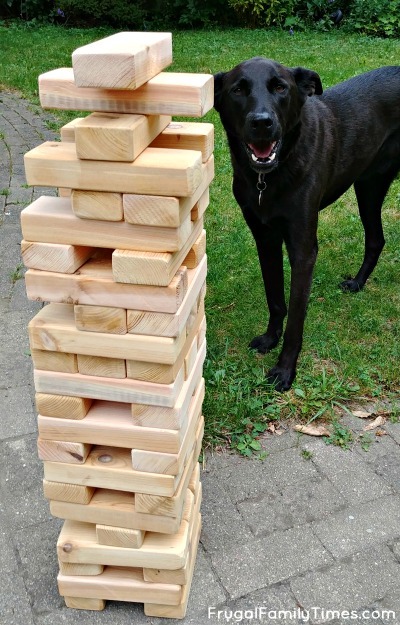 our furry friends may view your Giant JENGA as a large pile of fetching sticks. Play with caution in the presence of Canines.